The Drei Donà estate is located in the ancient Romagnan hills between the towns of Forlì, Castrocaro and Predappio. The ‘La Palazza’ farmhouse was built around a watchtower constructed by Caterina Sforza in 1481 in a strategic position on the gentle slopes of Massa di Vecchiazzano to defend her lands. The property has been in the hands of the Drei Donà family since the last century, and although it has always been dedicated to producing Sangiovese grapes, it has undergone a radical transformation under the present owner, Count Claudio Drei Donà. After acquiring a law degree and working in the insurance industry, Count Drei Donà together with his son Enrico, has dedicated his efforts solely to the property, decisively guiding its activities towards increasingly high objectives. Most of the 23 hectares of vineyards are planted with Sangiovese grapes, which were indigenous to the property. These old vines have been studied, selected and propagated to maintain La Palazza’s original clones. The estate’s first wine, ‘Pruno’, is produced from these Sangiovese grapes along with a second wine, ‘Notturno’. 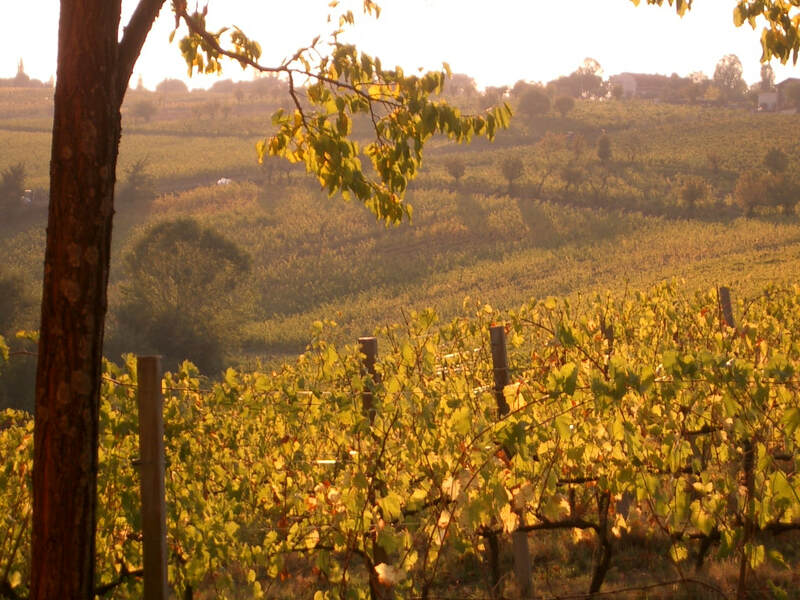 In addition to Pruno and Notturno, a selection of Chardonnay and Riesling, ‘Il Tornese’, and of Cabernet Sauvignon, ‘Magnificat’, are produced from two small vineyards. The Gran Riserva, ‘Graf Noir’ comes from another tiny vineyard of less than one hectare (two acres). It is a blend of three different grapes and is only produced in exceptional years. "Our working philosophy is extremely strict: the wines that we produce are the result of exacting standards first in the vineyard, and then in the cellar. In this way, we start with the highest quality grapes, and ferment and age them in our modern cellars to produce a wine that is a true expression of the Massa di Vecchiazzano Romagnan “terroir”. We also produce two aged grappas and an extra-virgin olive oil. Just a note to explain the names of our wines: they all come from the names of the horses that we also breed in the farm".